A pretty incredible week for us considering that this is traditionally one of the slowest time of year for matched betting. 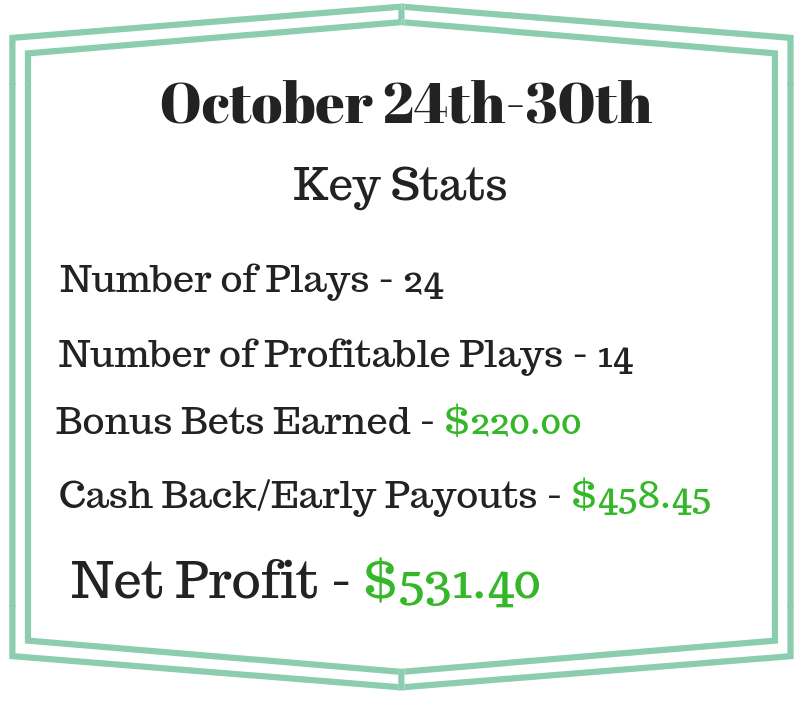 We didn’t even have that many plays, but the ones that we did have kept bringing in profits! Now that we are a couple of weeks into the NBA season the offers are starting to drop off a little, but there is still plenty of value out there. BetEasy are giving free money away every day with their double profit offers. Leveraging that guaranteed profit against the Sportsbet, Tab, Ubet, and TabTouch NBA offers really worked well for us this week. The double profit wasn’t limited to NBA. We picked up some more risk-free profit on American Football as well. TabTouch also threw in a nice $100 cash back on the Tottenham v Man City EPL game to help round of the week in style. Bonusbank members have also been making some nice profits from horse racing promotions. The highlight last weekend from a racing perspective was Winx winning the Cox Plate. From a matched betting perspective the highlight was all of the generous bookie promos. Our new horse racing chrome extension is still available for free, and now includes Pointsbet in the list of bookies. With the Spring Carnival still in full effect, it is the perfect time to try it out.